Username or Email Address : You must enter a username or e-mail address. Password : You must enter a password. Bookkeeping software for the Automotive Recon Professional. Easy, Accurate Tracking. Enter customer, service and type of payment. Scan VIN. 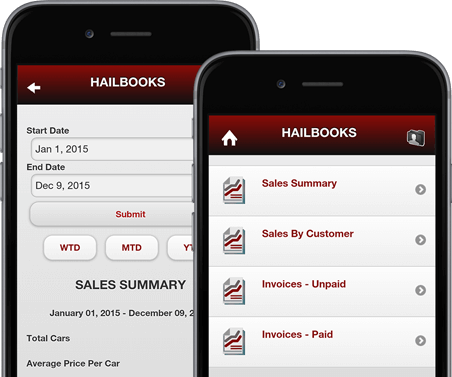 Hailbooks automatically enters the make, model and year. Take pictures to document your work. Create and send invoices for each customer. Record payments for easy tracking. 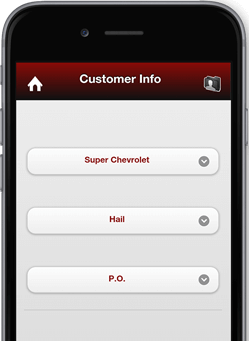 View summaries of your total sales, sales by each customer and invoices. You may find and edit information for each vehicle by searching the VIN scanner, stock number, dealer, technician, make or model. Print or share invoices wirelessly with a compatible printer. Your data automatically syncs to the cloud so you can make changes on your desktop or other mobile devices. Whether at home or on the road, you can manage your invoices by logging in to your account. $199/year after that. That’s 13 months for the price of 12. 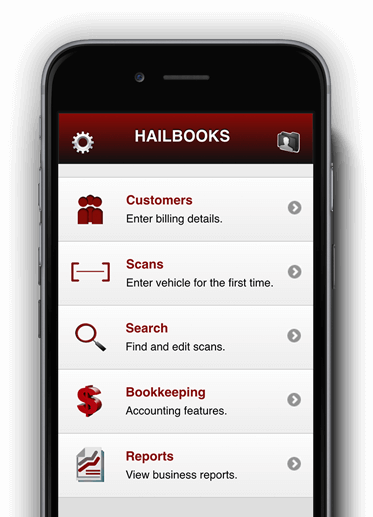 Start managing your bookkeeping with software designed just for you—try Hailbooks for free! Finally, an accounting solution designed for hail technicians. 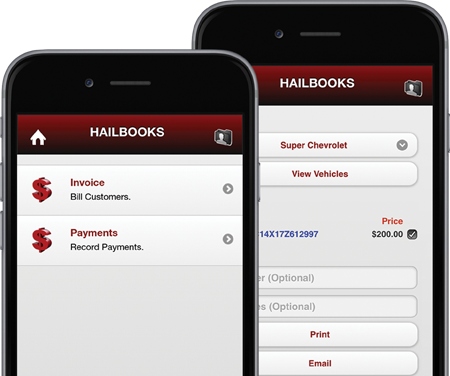 Hailbooks makes it simple to keep track of the cars we repair. We get paid faster with Hailbooks. No more ledger pads and spreadsheets. Now I know exactly how many cars I have repaired, how much I have made, and who owes me money. Thanks Hailbooks! Have Any Questions about Hailbooks? Site by Schilling/Sellmeyer & Associates.